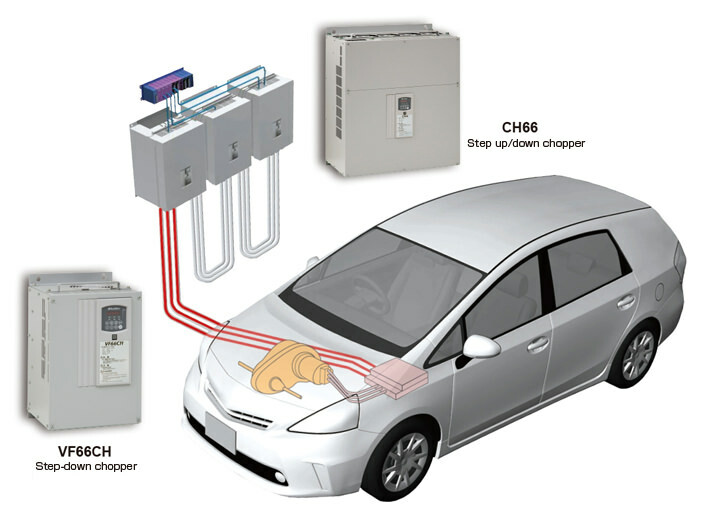 Battery Simulator｜Testing System for Automobiles｜Industrial Systems｜Products Information｜Toyo Denki Seizo K.K. Dynamic power circulation is possible by combining our dynamo with a battery simulator with a maximum output capacity rating of 750 V and 1,200 A. This system reduces power consumption by regenerating the power absorbed by the dynamo and then circulating it back to the battery simulator. *Please inquire with Toyo Denki regarding control accuracy and response time.